It’s passed Labor Day and I feel confident to indulge in everything fall. I know there’s about three arguments to the pumpkin spice ideas – all for it, all against, “you do you”. I dabble between all for it and “you do you”. I drink hot drinks all year round. There’s something about hot coffee with breakfast that I enjoy. Iced coffee really is for when I make too much coffee and decide to finish the pot the next day. It’s also reserved for cocktails. That being said, I want to know when September is going to really kick into full gear because as far as I’m concerned August is holding on a little too tightly. We’re barely a week in and I know it’s barely started, but guys – I’ve already bought my first bag of candy corn and I foresee at least one more bag consumed this fall. JP’s also declared we can officially start watching Hocus Pocus too. Anyway, it’s just been too hot for any hot drinks after breakfast time. So I decided to wait to indulge in pumpkin spice lattes until at least after Labor Day with the hope that it’d cool down a little (joke’s on me) and that I would feel like we’re closer to fall than summer (joke’s still on me). Along with PSL’s and candy corn, a few of our other fall favorites that we only consume around this time are pumpkin spice peanut butter (it’s limited released from Peanut Butter and Co.), Octoberfest beer (Sam Adams preferably), apple cider, apple cider donuts, apple picking and fresh squash including pumpkin. I know we’re not the only ones who enjoy frolicking in the orchards and pretending to be one with nature as we search for the perfect apples in a variety of well, varieties and sizes. I make apple sauce, pancakes, bread and pie with our apples along with wiping them off and eating them raw. We eat mashed pumpkin, typically from a can, but this year I’m going to tackle making fresh pumpkin mash. I also make pumpkin pie (crust and all), smoothies, pancakes and oats. This time of year is my favorite. Exploring the spice cabinet around the holidays is way more fun than standard Sunday night meal prep passing garlic salt or maple brown sugar seasoning. I love flavor and spices are a great way to add flavor without adding extra calories. This is something I wish I knew long ago. I still use some dressings and sauces, but a lot less now than I ever did before. There’s also a lot of mixed messages with spices and seasoning blends. Should you have salt, should you go salt-free. First, you do you, unless your doctor says mind the salt. Second, you can always choose salt-free blends. Third, cheaper than buying blends altogether – make your own. Probability says there’s a ton of combinations and you probably won’t find many of them in a bottle together. For a tiny bottle of McCormick – I know you know which bottle I’m referring to – is $5.29. Depending on the spice or blend that could be gone pretty quickly. That bottle wouldn’t last me the fall if it was pumpkin pie spice. I have too many bottles of cinnamon because I always believe I’m out – I really should take an inventory and have it written down and posted on the cabinet, but maybe at the new house. Anyway, I always have the individual bottles needed for pie because I like to use them in other cooking and baking. I really prefer to bake from scratch. 1. Add all spices to a small storage container or jar and then shake until blended. 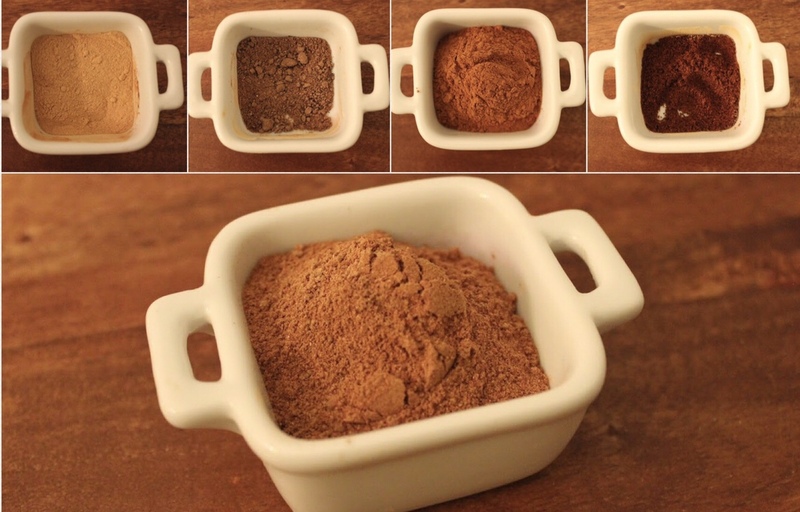 To make pumpkin pie spice sugar, add 2 teaspoons of sugar or 1 and 1/2 teaspoons of sweetener and shake until blended. For apple pie spice, I use all of the ingredients above except ginger. What are your favorite fall foods? What spices do you like to bake or cook with?